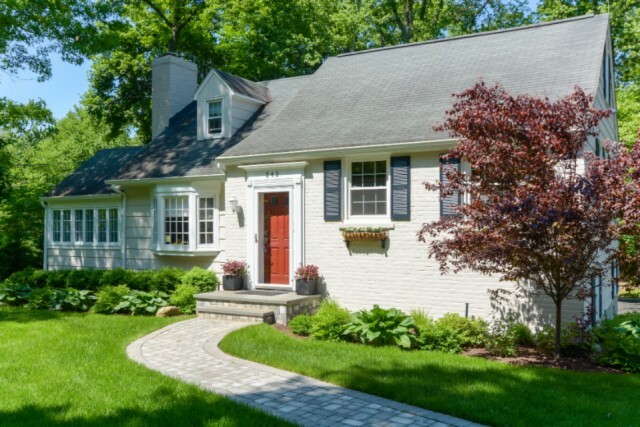 Nestled on one of Ridgewoods most charming blocks, this home on more than a half-acre is a must-see. Beautifully updated both inside and out with attention to detail. A tastefully renovated kitchen is the heart of the home, featuring white cabinetry, granite countertops, SubZero, Viking and Bosch appliances. The living room has refinished hardwood floors, fireplace with classic mantle, crown moldings and bay window. Off the dining room is a sunroom that overlooks a pleasantly landscaped yard and forest. Upstairs are 4 full sized bedrooms with refinished hardwood floors and 2 full baths with tub and shower. Off the kitchen is a screened porch looking on to the wooded backyard and paver patio. With a 98 ft wide and 256 ft deep yard, theres room to relax and enjoy nature. Door to door bus service to Ridgewood schools, a short walk to NYC bus and a one way street make this home an ideal place to live.